There's a lot of ways to do it ... I try to argue with "what about Rolling Stunes" or something like that, but I'm seldom heard! Worst is when catalogues, pretending to be serious, do it the way this illustration shows! It's taken from Music Master by John Humphries in 1984. Claiming to be "The world's greatest record catalogue", it contains 860 enormous pages! 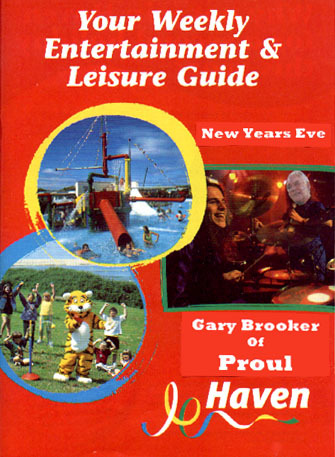 The UK's TV Times (mid-December 2000 ... see above) ought to know how to punctuate Jools's ... but in the light of that incompetence, perhaps the hilarious stupidity of 'Proul Haven' is understandable. 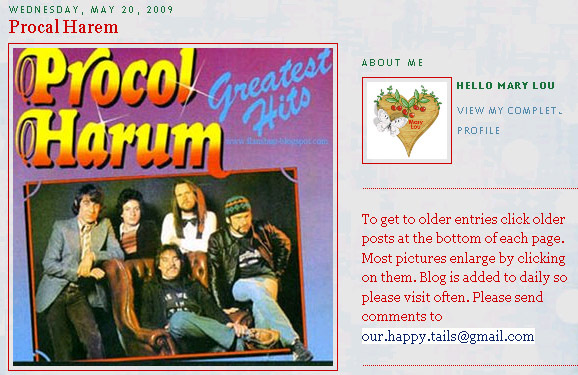 Even by clicking on the illustration, it's too late to put anything right, and we fear for the sanity of Jonny Moen (see comment above). 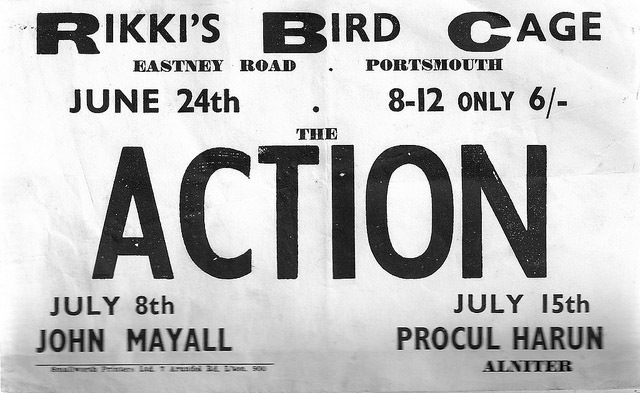 Gary Brooker's comment (20 December) was simply, 'This one takes the biscuit.' Click here to see the pictorial response from Henry Spinetti. 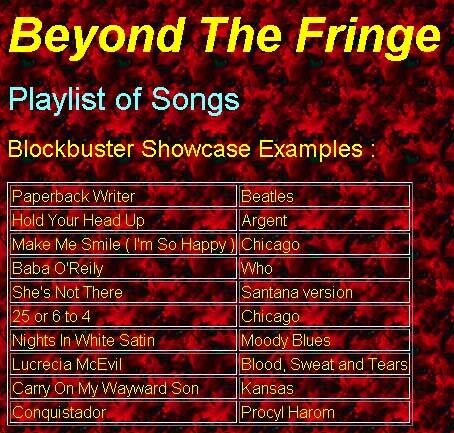 We'd like to tip our collective Homburgs to the sound-alike artists' band 'Beyond the Fringe', who cover Conquistador, and whose mis-spelling of 'Procol Harum' is among the most ghastly we have ever seen. Doubtless they are more accurate when it comes to music! 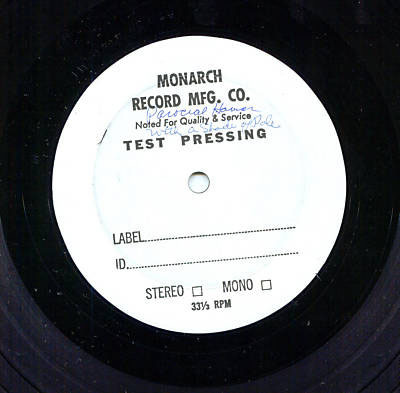 USA's Monarch Record Manufacturing Co white label test pressing for the 1972 A&M release of the first Procol album with the addition of (and the title of) A Whiter Shade of Pale. 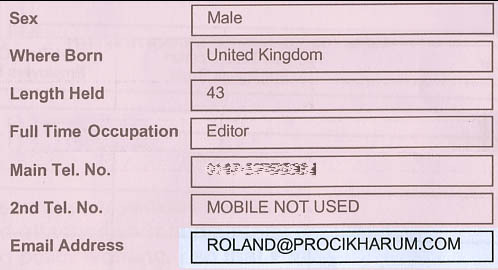 On one side the production controller has erroneously written With a Shade of Pale by Parocial Harem. Would this be more forgivable if 'parochial' were spelt correctly? 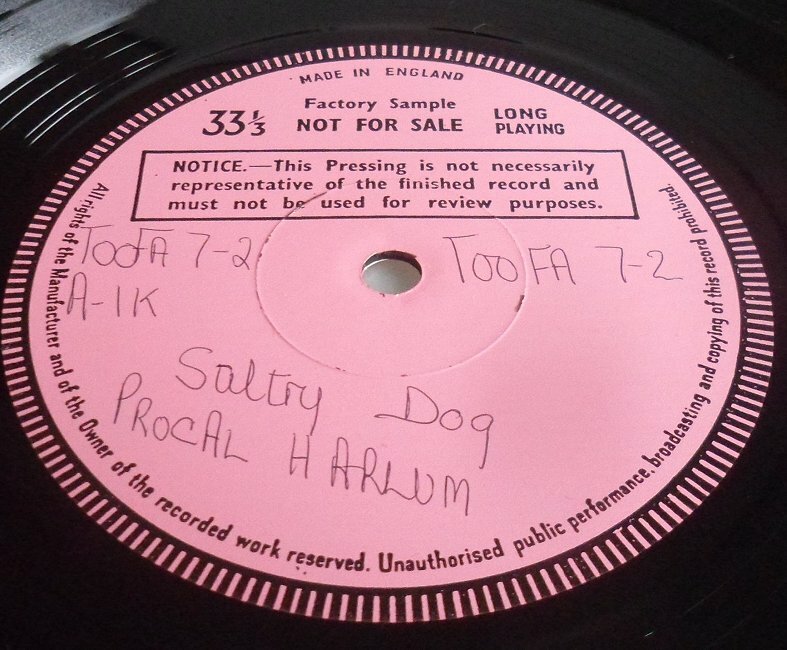 This hilarious test-pressing – luckily 'not representative of the finished record' – scores a feeble one out of five, for managing to spell 'Dog' correctly. 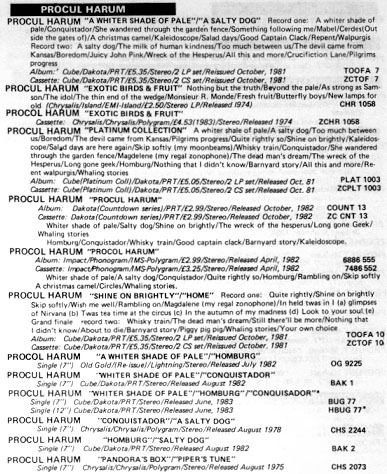 Otherwise 'A' is missing from the song-title, 'Salty' has an intrusive 'r', Procol has a rogue 'a' in place of the second 'o', and 'Harum' has gained an 'l'.